November 20, 2018 (Australia) – Legendary shoe designer Steve Madden is relaunching into Australia next month with the opening of two new retail stores and a dedicated Australian online shopping platform for the first time. The global footwear brand, which was founded in 1990, will open Steve Madden branded stores at Highpoint Shopping Centre, Melbourne, on December 8; and Robina Town Centre, Gold Coast, on December 15, 2018. The Australian based online store will be live 1 December. From a factory in Queens, NY, Steve Madden has revolutionised the shoe industry, merging years of experience with unique and creative designs. Inspired by rock and roll and his New York roots, his vision to provide on-trend women and men with an outlet to express their individuality is innovative, daring and inspiring. Considered the fashion footwear mogul of the 21st century, Steve has an innate understanding of trends and unparalleled willpower that has resulted in millions of customers worldwide and propelled his designs to the forefront of fashion. “We feel very privileged Signal Brands were identified and given the opportunity from Steve Madden to manage the brand representation in Australia. The past year we have been very strategic in our approach setting up the structure and re -positioning for a consumer success story in our market. Two concept stores will launch December 2018 along with a dedicated Australian online customer experience. An additional 6 stores are set to open in 2019. Our team is ready, committed and excited to be part of this journey and very much look forward to the growth of the billion dollar brand that is Steve Madden both locally and globally.”Paul Smith, Group Managing Director, Signal Brands, Australia. 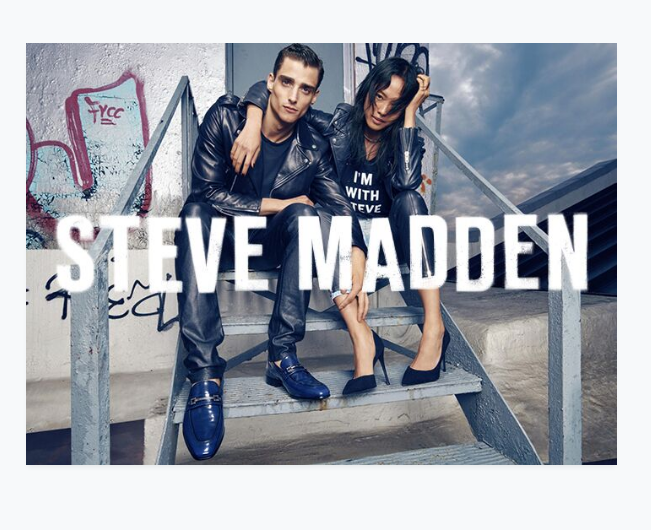 Steve Madden has expanded the brand into a true lifestyle and destination for footwear, handbags and accessories, sold in more than 80 countries worldwide.With a keen eye for talent and his thumb continuously on the pulse of today’s top trends, Steve has forged successful partnerships and collaborations with Cardi B, Kendall and Kylie Jenner, Lady Gaga, Katy Perry, Caroline Vreeland, Chiara Ferragni.